Start the trip with a visit to the Bajra Sandhi Monument. The museum will take you on a journey through Indonesian history from ancient times up through the recent fight for freedom from occupation. 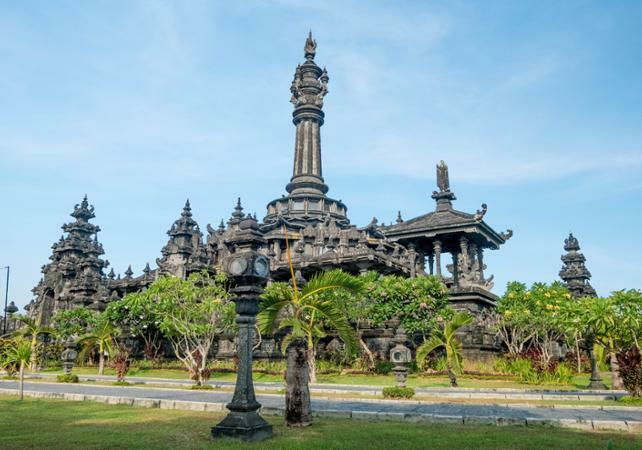 Next, head to the Bali museum, which is home to Balinese history and art. 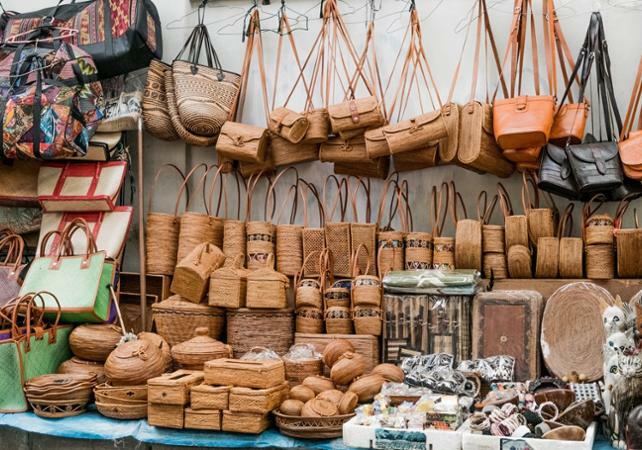 Walk through the small shops of the city, and visit the biggest traditional market in Bali. You’ll certainly find happiness among the rows of stalls with everything from food to textiles. 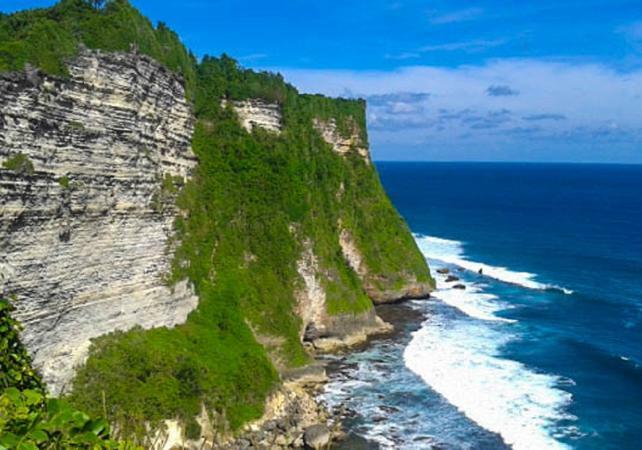 After shopping, the tour heads to the famous Uluwatu temple. Perched on a cliff, this sanctuary is dedicated to Rudra, god of wind and storms. Keep your eyes peeled, monkeys walk freely around the temple. 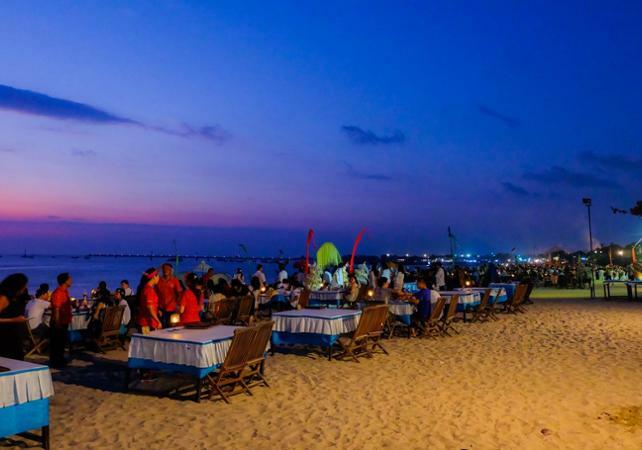 At sunset, watch a dance and fire show that tells the history of the Ramayana heroes, with the Indian ocean as the backdrop. Following the show, head to the Jimabaran bay. For those who selected the option (additional fee) there will be a romantic dinner. 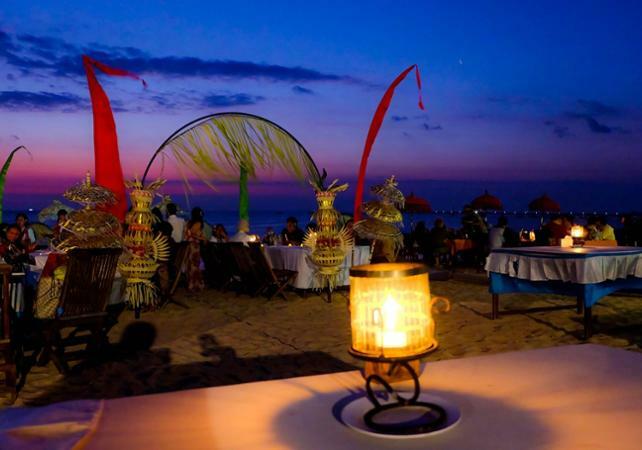 Sit at a table directly on the beach, feet in the sand, and enjoy a special Balinese barbecue. 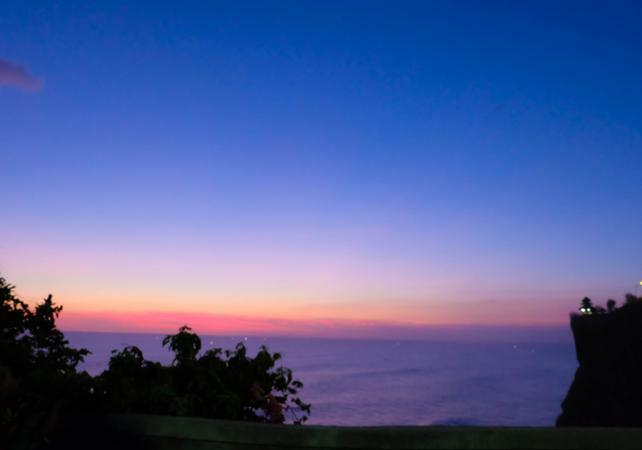 At the end of a day spent discovering Denpasar, you will be driven back to your hotel. Guide ponctuel. De belles visites, une pour en apprendre plus sur l’histoire de BALI, et l’autre, un lieu magnifique (ULUWATU) a voir. Par manque de chance, le spectacle était complet, nous n’avons pu y assister, la faute a pas de chance: énormément de monde ce jour-là, et impossibilité de prendre des places à l’avance. Et on fini par un dîner sur la plage, on se sent en vacances, même s’il y a énormément de personnes et de tables, avec ambiance musicale (un groupe qui se déplace de table en table sans être gênant). Et là plateau servi était tout simplement magnifique et délicieusement bon.